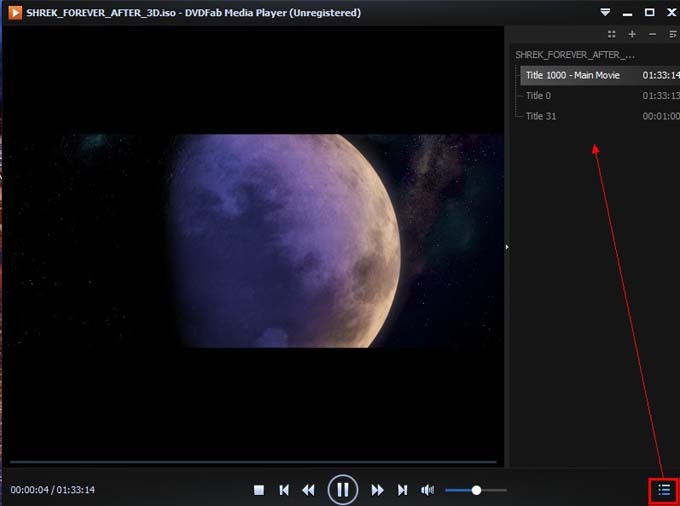 If you’re looking for a powerful and professional BD player, DVDFab Media Player 2 is what you can count on. It is an outstanding BD Player with fast speed and high quality. And it’s very friendly to use. Now let’s go to have a look at it. 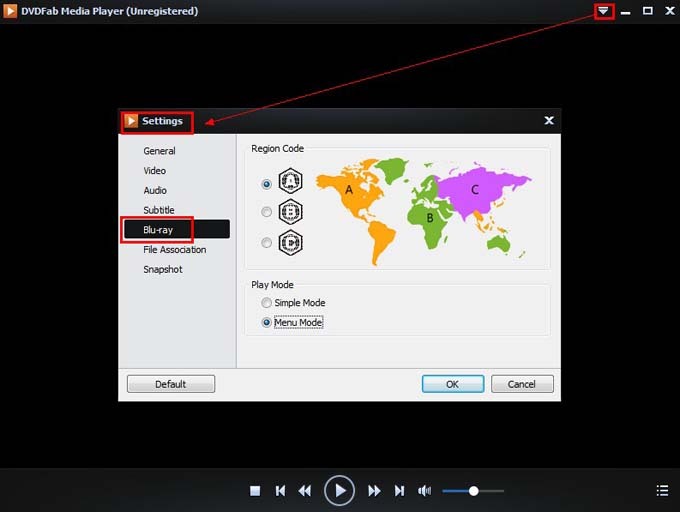 There’re two Blu-ray playback modes to suit users’ different needs. 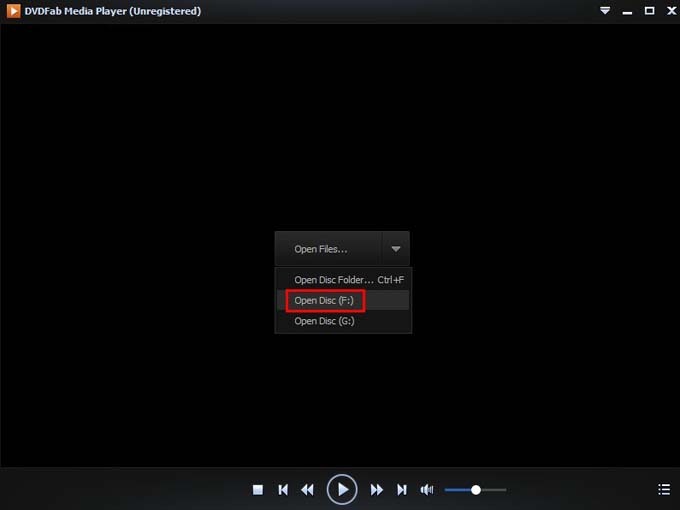 After starting DVDFab Media Player 2 and before everything else, we need to set a mode for the BD we’re going to view. Just click the Main Menu button (sitting in the top right corner of the UI), to go to Settings option, then navigate to Blu-ray. Here you can specify a region code for your BD, and what’s more important is that, you need to choose from Simple Mode and Menu Mode. Simple Mode will play the longest movie title, and Menu Mode will let you navigate with Blu-ray Menu just like on a physical Blu-ray Player. Let’s take Menu Mode for example. Now insert the BD into optical drive, then click the arrow button in the center of the UI to choose Open Disc. In no time the movie will be opened. And you can get a full navigation experience with this Blu-ray menu. If you want to freely choose any title to view, just open Playlist. Main movie and other titles are all listed there.